Canon Color imageCLASS MF731Cdw Printer Driver, Software Download. 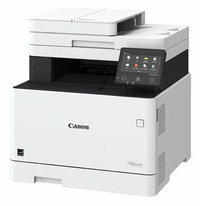 The 3-in-1, Canon Color imageCLASS MF731Cdw offers feature rich capabilities in a high quality, reliable printer that is ideal for any office environment. Get high quality, crisp and bold color business documents as well as photos using V2 (Vivid and Vibrant) Color Technology, which increases image sharpness and color vibrancy. Eco-conscious duplex print saves you time, paper, and related costs, as well as limits paper replacement interruptions.